Impacted Wisdom Teeth Causing You Problems? Wisdom teeth are teeth that are located at the back of the mouth, at the end of the rows on both upper and lower teeth. You will tend to have 4 wisdom teeth but there have been cases of having more or less. These teeth are known medically as the third molars. You will find the wisdom teeth are the last of your teeth to come through, and this can happen between the ages of 17-25 (but can happen at younger ages and older too). When the wisdom teeth start to come through you should have the other 28 teeth through. By the time this happens, if you still have the other 28 teeth, there is a chance there may be complications as mouths are not always able to accommodate all 32 teeth any more. When wisdom teeth are erupting they can easily be obstructed (by other teeth) if there is a lack of space in the mouth. The term for these is: impacted wisdom teeth. What Happens If They Are Impacted? Vertical impaction – If the tooth grows straight down and hits the next tooth. Angular impaction – (mesial) – It grows at an angle facing towards the front of your mouth. Horizontal impaction – The tooth grows out horizontally and impacts the next tooth’s root. Distal impaction – It grows out away from the adjacent tooth and ends up in the wrong position. 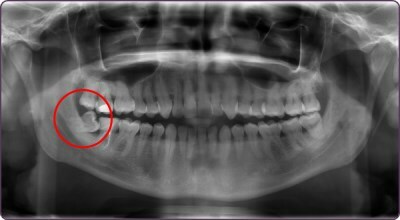 Will I Need To Have My Wisdom Tooth Removed? 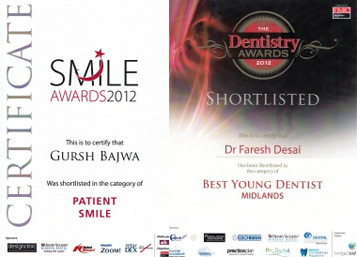 If you are worried about your wisdom teeth, please do not hesitate to contact us and book your free consultation.